If somehow you still haven’t heard about Lonzo Ball before tonight, well now you have. 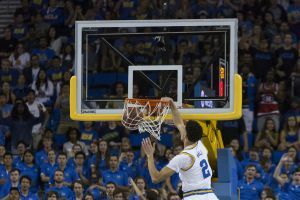 The freshman guard made quite an entrance to the college basketball stage with an emphatic finish on an alley-oop that got Pauley Pavilion in a frenzy and SportsCenter watching. 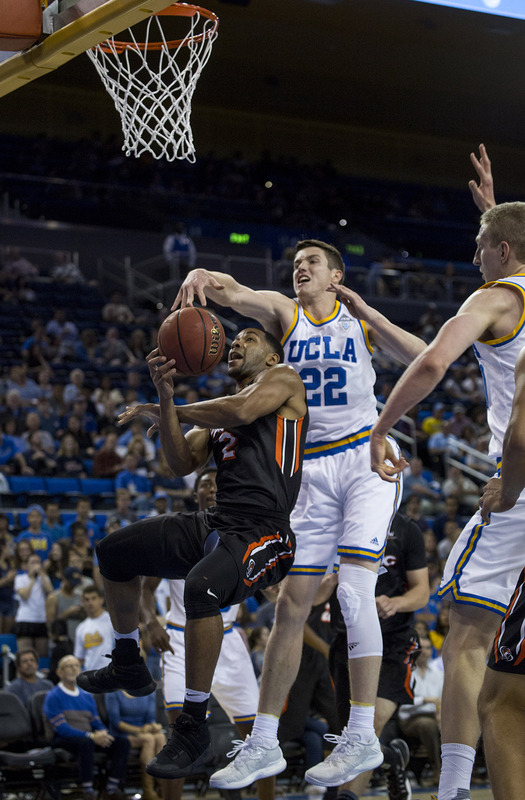 It wasn’t just the dunks or the NBA-range 3s he shoots with ease – of which he 3-of-4 – but the infectious energy and pace he brought onto the court. No. 16 UCLA will be running and gunning this season, make no doubt about it. 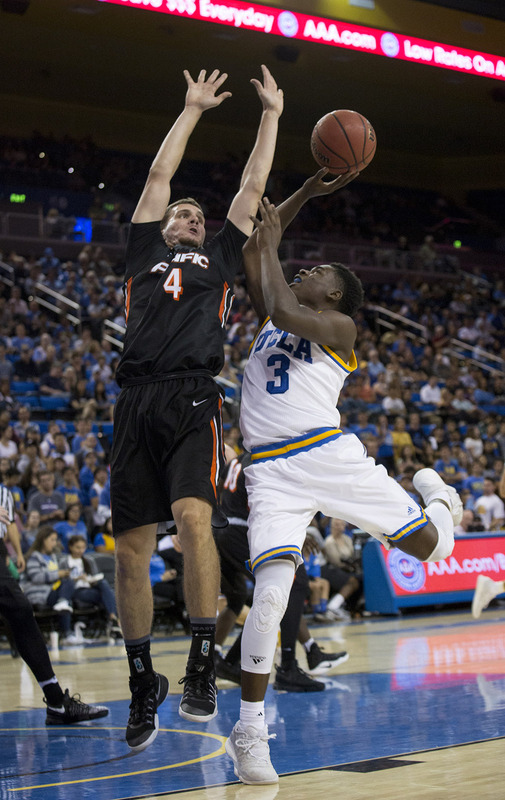 A point guard who thrives on running fast and whipping pinpoint passes into shooters’ pockets will do that to a team. 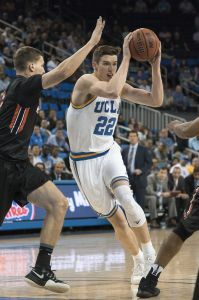 “Once the new guys arrived, it was really about how fast are we going to be able to play and still make the right reads,” said coach Steve Alford. 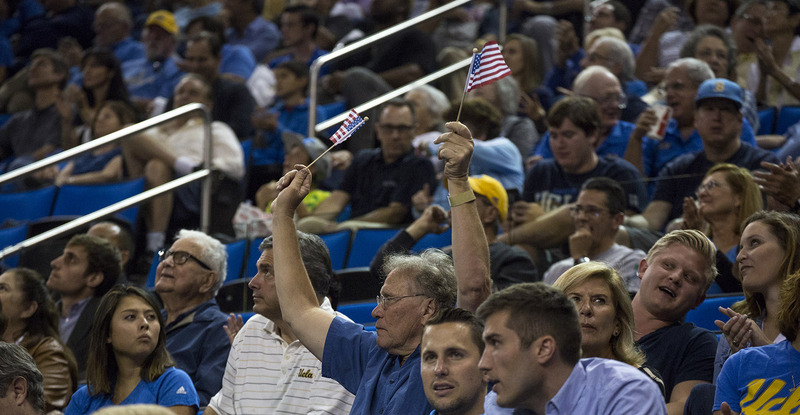 “Our identity should be about pace and reads. As we continue to work on reads, then that will help how fast we can play. I thought that was pretty good tonight. 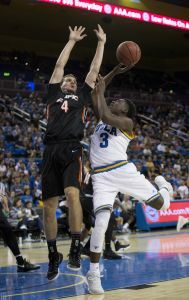 Senior guard Bryce Alford, who was asked to handle the ball almost every time down the floor last season, flourished playing off the ball for 30 points. 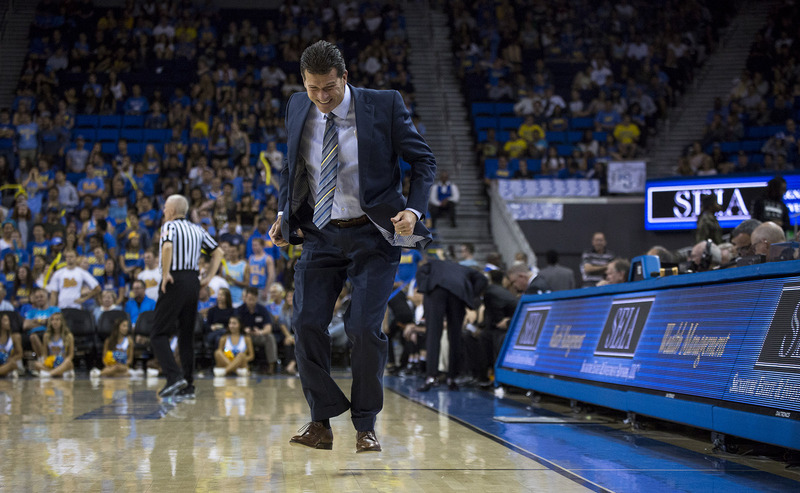 UCLA handed out 29 assists on its 42 made field goals, 11 coming from Ball. 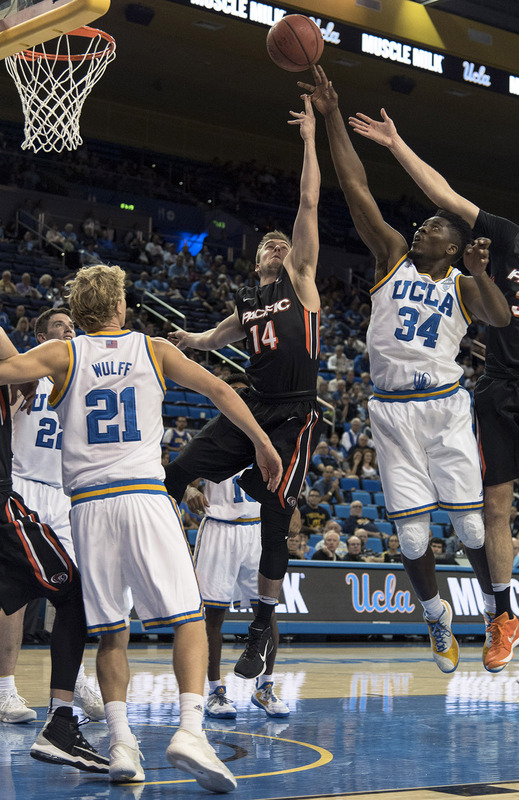 As a team, the Bruins drowned the Pacific Tigers by raining in 3s, finishing with a school record of 18 3s en route to a 119-80 thrashing to open up the season. 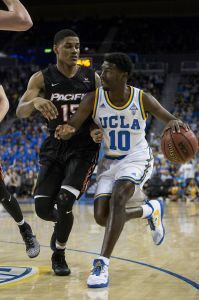 But the star of the show was Ball, who has brought new life to program that finished with a disappointing 15-17 record last season. His 19 points, 11 assists and eight rebounds kept the crowd up and cheering the entire night. Fellow freshman TJ Leaf also showed off what he could do in his collegiate debut with 22 points and 15 rebounds. “Coach has been stressing trying to get movement and screens like the Warriors and obviously the Warriors make a lot of threes, and I think we imitated that pretty well tonight,” Leaf said. 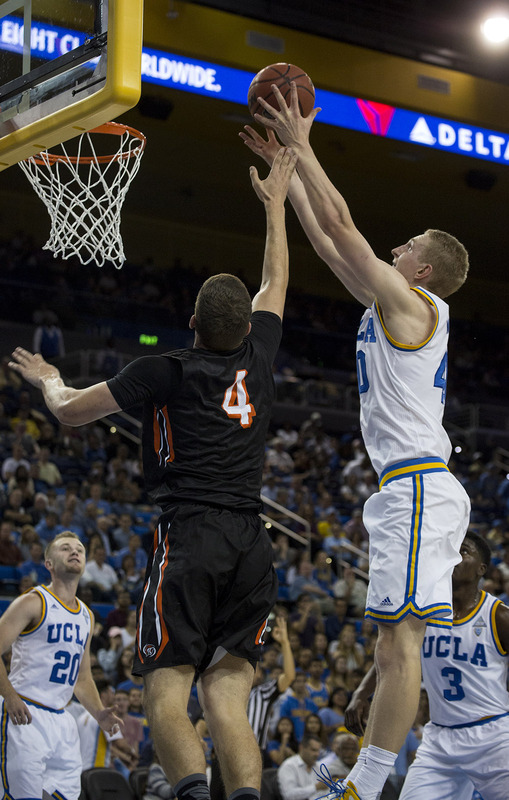 UCLA’s win over Pacific was a near perfect start for the Bruins. And while the win was nice, UCLA really showed that this team is going to be fun this season.